Achieving goals means doing the work that brings success. 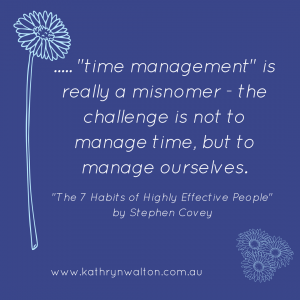 This includes getting yourself organised on a daily basis by planning your time. When you consciously and intentionally choose how and where you spend your time, you minimise stress that otherwise builds up when you have to rush to get things done at the last minute. To help you plan your time for a highly successful day, I’ve created a beautiful daily planner that you can download and print from my website. And it’s free! Read on for some tips on how to use the planner to make the best investment of your time each day. Your planner has been designed to be quick and easy to use. 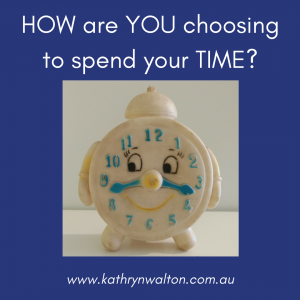 When you invest a couple of minutes each day into planning how you choose to spend your time, the payoffs can be enormous! A little bit of organisation goes a long way. Here are a few tips to get you started with your planner. At the bottom of your planner there is space for you to keep a list of tasks, activities and other to-do’s that weren’t on your priority list for today. 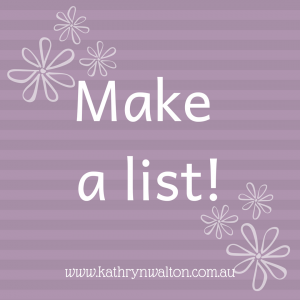 Having them handy here means that if your day has gone smoothly and you have time and energy up your sleeve, you can easily run your eye down this list and select additional tasks to work on. Or, perhaps things haven’t worked out today as expected and you need to reorganise your priorities. This space also enables you to make a record of tasks as you think of them so they don’t get lost in your hazy busy brain! My ‘to-do list for another day’ is quite extensive. I use it like a bank of tasks that I can select my priority goals from each day, and then cross them out as I achieve them! So there you have it! A system to plan your time for a highly successful day. And a reminder to be gentle with yourself when it doesn’t all go to plan. This system is simply a plan – a flexible tool to guide your daily choices and actions. Experiment with the plan to see what works best for you. 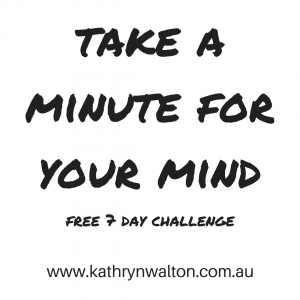 HAVE YOU SIGNED UP FOR MY FREE 7 DAY CHALLENGE “TAKE A MINUTE FOR YOUR MIND”? Available for a limited time only! For more information and to register, go to the OFFERS tab on my website! 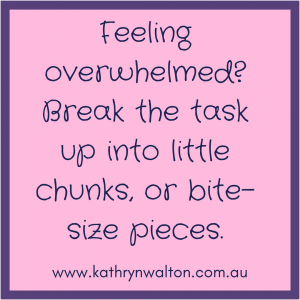 Stress management skills are invaluable, and for busy women juggling lots of hats at once, they are a necessity. So what does stress management actually look like? As with many things, there isn’t a one-size-fits-all solution to managing stress. It’s different for everyone and everyone is different. But we can dig through the layers of stress that many busy women carry around with them and focus on a few strategies that prevent stress becoming a problem in the first place. Time is one of the most common elements that contribute to stress. Read on to learn about 5 hacks that will save you both time and stress. Busy people are constantly on the go, moving from one task to another, often in a reactionary way. Distractions can side-line us into all sorts of things that are neither urgent nor important. Learn to discipline yourself to stay on task (unless there’s an emergency of course!) and to say ‘no’ more often. 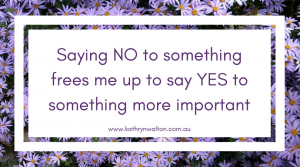 Whenever you say ‘no’ to someone, something, or yourself, it opens the space for you to say ‘yes’ to the most important things in your life. Ultimately, by avoiding time wasters you’ll save your time for the most important things in your life and feel much less stressed! Get the ironing done and dusted all at once instead of one item at a time (and usually in the hectic rush of getting ready for the work / school day). Cook double quantity meals and either freeze or refrigerate the leftovers for another night (think savoury mince, risotto, lasagne – all delicious and can be reheated, re-purposed or dressed up for another night). Work tasks can often be batched too. For myself this includes blog writing, administration tasks, making videos, and creating social media postings. In what other ways can you save time and reduce stress by using the batching hack? Busy people can easily get their priorities all mixed up in the hectic chaos that is life. And it becomes a vicious cycle. Set your priorities for the day and let everything else fit in around it – if it can! Stress builds up when we fight to fit things into our day (or our life) when we simply don’t have enough time for it all. And once time has gone, we can’t get it back. Be sure to fit the most important things into your day first, and anything else that stacks in is simply an added bonus! Time management is a proactive way of managing stress. The 5 hacks outlined here will save you precious time and reduce your stress when practised regularly and habitually. Here they are again! What are your biggest time wasters and your best time saving hacks? For most of my life I’ve enjoyed the challenge of setting goals and making them happen. I’ve learned that the actions I choose can take me from surviving to thriving. I love to have a go at something new, especially adventurous activities. For a few years this seemed to slow down a bit. Perhaps it was my added commitment to my young family, our relocation to a rural area, or maybe even a simple ‘rut’ I got myself into. 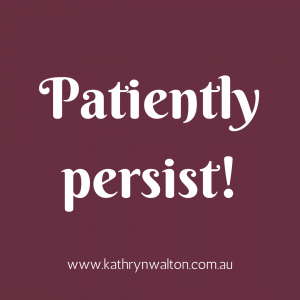 When life was more about surviving the usual (and not so usual) childhood illnesses, school assignments, getting the bills paid, and retrenchments, I often felt a long way from thriving. Maybe it was my approaching middle age that brought along a renewed urge to live life as fully as possible. I know that I function at my best when I have a goal to aim for, and so when I began to focus on this aspect of myself again, I rediscovered my passion for adventure. 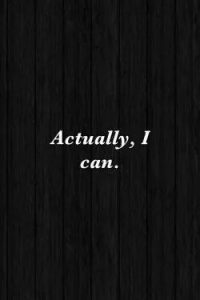 Here I will share with you the actions that took me from surviving to thriving – you can do it too! The skills of setting goals and creatively problem-solving are key factors to success. Success doesn’t just happen. You have to create it, to action it, and to problem-solve it. It doesn’t always come easily, and we often shy away from the actions we need to take. We secretly keep our inner dreams to ourselves out of fear of failure. Get your goal out there! I’m sharing with you one of my goals that I’ve had floating about in my head for a long time. Putting it out there in the public arena is definitely not easy. I have a lot of doubts about whether I’ll succeed, but if I keep suppressing my dream, there won’t be any chance of success. 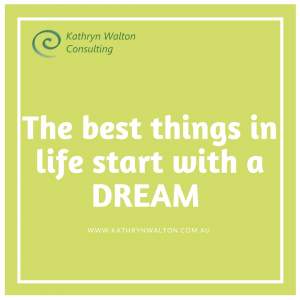 I’m using the post 9 Steps to Achieving Your Dreams and Goals to help me get clear on just what it is I want to achieve, and why. This clarity will give me direction and motivation. I want my life to be filled with adventurous activities instead of ho-hum routine. There are plenty of problems associated with spending more time in adventurous activities. But when I’ve overcome them I’ll be living the life I want – full of activity, travel, inspiration, energy, feeling great! I’ll focus my attention on how I want it to be instead of what the problems are. I WILL GO ON AN OVERNIGHT HIKE – something I haven’t done before! Is it achievable? Yes, I’m comfortable and competent with bushwalking and camping, so the new challenge combines this with carrying my supplies. Is it realistic? Yes, I’m reasonably fit, healthy, strong, sensible and organised. I’ll research and access resources and networks, borrow or buy equipment that I need. Does it have a timeframe? I’ll avoid extreme weather conditions and give myself enough lead-in time to gather and test out equipment, do my research, and train to carry the weight of my pack. Spring will be an ideal season and I can select a date closer to the time based on weather and what suits my fellow hiker/s. STEP 4 – WRITE IT DOWN! Yep – here it is! In the public arena too! (Talk about pressure now!) But you don’t have to go public with your goal. There’s power in simply writing it down for your own reference. STEP 5 – KNOW YOUR WHY! COMMITMENT NOT MOTIVATION! I want to challenge the fears that limit me. I want to connect more closely with nature and discover my part in the world, learn to trust myself and stretch my limits, tap into my inner strength, develop self-reliance, and I want to finally use the backpack I bought years ago! When I feel unmotivated, I can look back at my “why” and stay committed to my goal. I’ll take each step one at a time and gradually work my way towards an overnight hike. There are some predictable problems, and other new ones might arise. 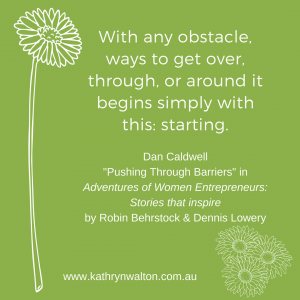 But I won’t give up – I’ll use the Creative Problem-solving Train (keep reading). 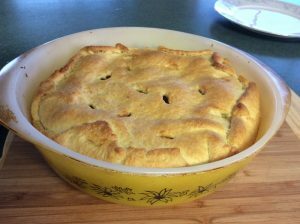 STEP 9 – REWARD YOURSELF! Before I even get started, I’m thinking of all the ways that I could fail! So here I’m using the Problem-solving Train to anticipate and manage the obstacles. Brainstormed solutions: Hike near, and camp overnight at a site with facilities, read about and listen to podcasts about bush toilet hygiene, read stories of overnight hikers, hold on and avoid toileting as much as possible, take a porta-loo, find out about toileting aids for bushwalkers, have a wash down or swim instead of a shower, avoid extremely hot weather, talk to experienced hikers about bush hygiene, remind myself that if others can do it so can I, think about how clean I’ll feel when I get to shower afterwards – WOW! There sure is a lot of possibilities here! Most of my brainstormed solutions are quite useful and viable, although I don’t think I’ll take a porta-loo (too heavy, smelly, awkward, embarrassing) and I don’t think it’s a good idea to avoid toileting (hmmm, that could be uncomfortable and bring on health problems). 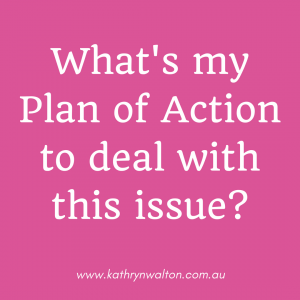 I think it’s best to deal with this problem from multiple angles so I’m going to include several action-based and mind-based strategies in my Plan of Action to deal with this problem. 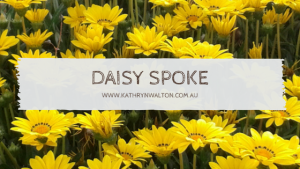 Read about and listen to podcasts about bush toilet hygiene – this could come in handy someday even if I don’t need it this time! Remind myself that if others can do it, so can I! Once I’ve actioned my plan I can review it, even before I go on my first overnight hike. Am I feeling more comfortable about the issue of toileting and showering on my overnight hike? Are there any new problems I need to address? I can go back to my other brainstormed solutions, or come up with new ones. I can flex my plans to help me achieve my goal instead of simply giving up. I can push through the discomfort of the plan not working out perfectly, and tap into my determined attitude to succeed. Once I’ve got my plans in place for all the probable and possible problems I’ve identified, it’s full steam ahead. I’m already most of the way there! It’s in this phase of identifying and then creatively solving the problems that most people get stuck. It’s this process that makes the difference on the road to success. And for me personally, it’s an exciting ride moving from surviving to thriving, making my goal of living an adventurous life a reality instead of leaving it as a whimsical dream. Stay tuned for future updates as I smash this goal! FREE GIFT! To help you clarify and action YOUR goal (whether it’s big or small or anywhere in between), download your FREE printable Create Success With SMART Goals. This handy worksheet will step you through a simplified process to identify your S.M.A.R.T. goal, your “why”, the steps you need to take to achieve your goal, any problems that might get in the way of success, and creative solutions that will propel you towards success. 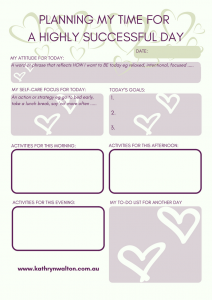 Click here to download your FREE printable “Create Success With SMART Goals” from the RESOURCES tab on my website, and check out the other printables and resources while you’re there! This post is all about using powerful mind-based strategies to boost your resilience and enhance your sense of wellness. In my last blog post I stepped you through how to create your own recipe for success and happiness that grows from a base of action-based strategies. Your recipe included actions that enhance physical and mental strength such as meditation, exercise, socialising, nutrition and sleep among others. Today we’re adding to your mix with powerful mind-based strategies! When you have a solid routine of action-based strategies enhancing your resilience, you’ll be ready to make effective use of mind-based strategies as well (the psychological jargon is ‘cognitive strategies’). 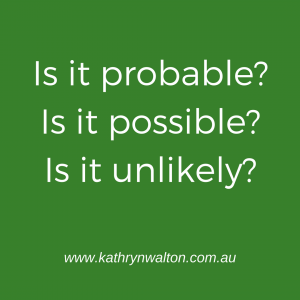 These tend to be a little bit trickier than the action-based strategies because they deal with things we can’t see, like our thoughts, feelings and attitudes. But mind-based strategies can be incredibly powerful so they are definitely worth practising. When you combine helpful actions with powerful mind-based strategies, you’ll create a deep sense of wellness and inner strength. You’ll be better equipped to manage stresses and will be able to bounce back more quickly when life throws those curve balls. As a result, you’ll know what it is to experience success more often and your satisfaction and happiness will soar. BUT the key point is that you need to PRACTISE them. All of them. Repeatedly. Don’t give up. New habits can take weeks to gel, so stick at it! Am I using black and white thinking? Where’s the grey? Am I exaggerating the situation? What does this situation look like from other perspectives? Will this matter in 5 years time? Am I filtering out the positives / negatives? Am I really to blame? Is it my responsibility to fix? Is this label / judgement helpful? Where is the evidence that what I’m thinking is true? Am I assuming I know what the other person is thinking / feeling? 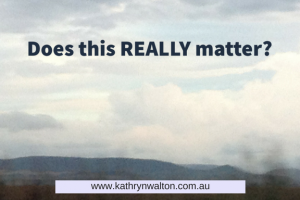 Am I focusing on things outside my control? What would my older wiser self advise me to do? Break them up into little steps and focus on one little step at a time. 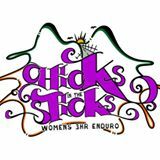 A personal example of mine was when I registered for “Chicks in the Sticks”, a 3 hour women’s only enduro mountain bike event. 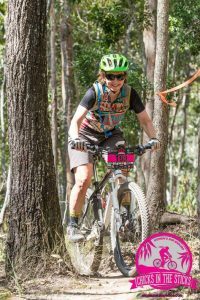 I had months to prepare myself physically and psychologically which was a good thing because I’d never been in a bike race before and was terrified at the idea! I broke my goal down into smaller goals such as joining regular group rides, developing a training plan with increasing ride lengths and levels of difficulty, and having some coaching sessions. Use a problem-solving technique to brainstorm ideas (even the crazy ones! ), evaluate your options, choose one option, implement it, review how it’s going, and repeat this process as often as necessary. You can collect them from songs, poems, books and social media in addition to listening to your own inner wisdom. 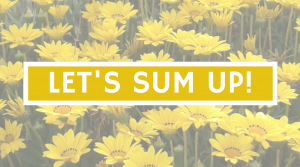 Write them on sticky notes, in a journal or diary, print out visual reminders to stick around your home or workplace, or even use them as screen savers and wallpapers on your electronic devices. 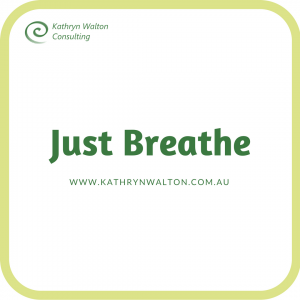 Some examples include “Just do it”, “One drop raises the ocean”, “Keep it simple”, “Just breathe”, “Stand tall”. They might be people you know and admire personally, or they could be people you’ve read about, or even characters from movies or books. When you find yourself feeling anxious or angry, ask yourself “What would [insert name of someone you admire] say or do in this situation?” One of the tracks on my personal playlist is a mountain bike coach I went to a couple of years ago. I sometimes hear his voice when I’m riding technical terrain on my bike “Get down low. Lower!”, and “Look up. Higher!” These words have been invaluable as I’ve learned to manage my fears about riding. 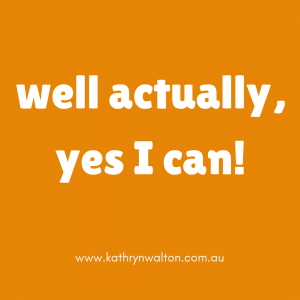 That’s all it takes to pick up the phone, make an assertive statement, click on a button or walk away from a situation. Think what YOU could do in YOUR five seconds of courage! Notice more of your inner world and the subtleties of the world around you. Really get to know yourself, your patterns, thoughts, reactions. With this powerful knowledge you can then make conscious choices to do things differently, or the same. You’ll be in charge of your responses instead of the other way around. Picture yourself doing something you want to achieve, or being the sort of person you’d like to be. 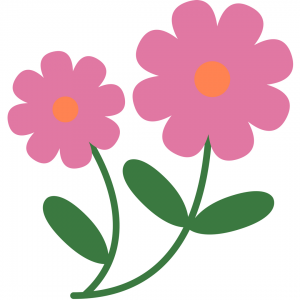 Visualisation can be used for relaxation (eg visualise yourself lying on the beach, your stresses trickling away into the sand beneath you) or to help you progress towards a goal (eg visualise yourself speaking in front of an audience, feeling confident, upright posture, smiling, relaxed). When I’m feeling nervous about riding my bike on a particular section of track, I stop for a few moments and picture myself riding it the way I want it to go, as if I’m watching a short video of myself successfully negotiating that section. It truly is a powerful mind-based strategy and one you can use in every area of your life. 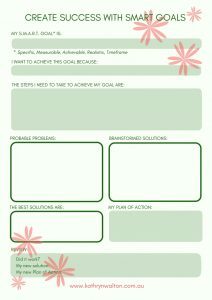 Free printable to keep your powerful mind-based strategies in play! So there you have it – some really powerful mind-based strategies to throw into the mix. And to help you keep your strategies in play, I’ve created a free printable for you. 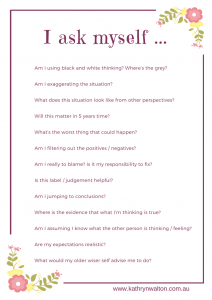 “I ask myself …” is a beautiful keepsake of the helpful questions listed above. You can download it for free from my website, ready to print and display. This will be a valuable tool to keep your powerful mind-based strategies present everyday. Each month you’ll have access to a new FREE PRINTABLE on my website that will guide you on your journey of wellness. 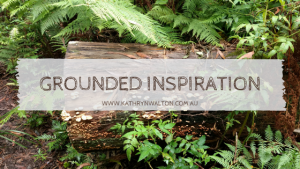 To make sure you don’t miss out, sign up for my email “Grounded Inspiration”. You’ll be the first to hear about my latest offers, news and inspirations. When you sign up, you’ll also have EXCLUSIVE ACCESS to a mini-workbook “Success & Happiness”, a unique guide to creating your own recipe for happiness using action-based strategies that beautifully compliments my last blog post. Recipe for Success and Happiness: getting the mix right! If you pick up a newspaper or magazine, read the news online, or scroll through social media, you’re sure to be confronted with the pros and cons of the eternal pursuit of happiness. 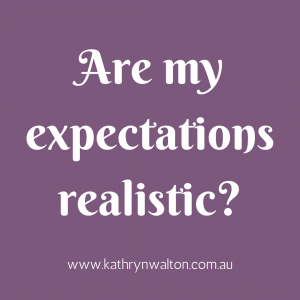 It presents a bit like the fad diets that come and go, and it preys on the vulnerable – those of us who think we should / could / would be happier if only ….. And so much of it feels out of our own control. 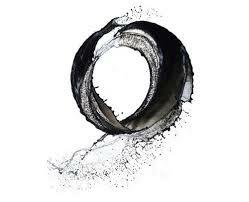 The fact is that we live in a world of uncertainty, unpredictability and chaos. It’s been this way since the beginning of time and the world of nature continues to operate this way. 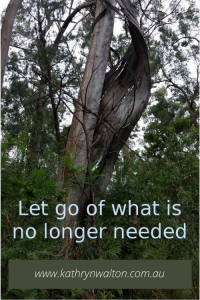 In humankind’s attempts to bring order and control to the mess we perceive around us and in our internal world, we can be forgiven for expecting to reach utopian happiness once we’ve got everything sorted. But the world isn’t that co-operative! The world as we know it can change at any time, and our intention to remain cool, calm and collected seemingly go out the window, leaving us feeling even more vulnerable and out of control. Unexpected changes come in many forms including sickness, injury, job loss, relationship upheavals and extreme weather. Whilst I’m not going to delve any further into those philosophical questions here, I am going to suggest that whatever and wherever happiness is, there are two other critical elements we can focus on that will stand us in good steed when it comes to adapting to the world we live in: the skills to be RESILIENT, and the skills to THRIVE. The important thing to remember is that these are skills that all of us can learn and continue to develop throughout our lives. Resilience is built upon a solid foundation of self-care. When we are resilient, we have the capacity to not only survive what life throws at us, but to thrive. To be able to flourish in an environment of uncertainty and unpredictability surely leads us towards success and happiness. It can be very confusing trying to identify the ‘ingredients’ that go together to make the best ‘recipe’ for resilience and happiness – our world is full of distractions and quick-fix ideas. So, here I’d like to offer you some of the action-based ingredients that stand out through the ages and in all parts of world, and that are now backed up by rigorous research. In the next blog I’ll outline some of the very powerful mind-based strategies you can add to your mix to really step into your strength. Mix all ingredients together until a satisfying consistency is found. You may need to experiment to get it ‘just right’ for your needs. It is recommended that you regularly review your mixture and adjust as required. Lastly, “Success and Happiness” is more likely to flourish in an environment where the recipe is shared among others rather than hidden away. If you’ve ever found yourself stuck in a rut, feeling discouraged or lacking hope, I can guarantee you’re not alone (myself included). The crucial point to remember is that there are always actions we can take to build our resilience, improve our physical and mental strength, and get back on the road to happiness. I have an EXCITING OFFER for you! To celebrate the launch of my NEW WEBSITE, you will receive a FREE mini-workbook “Success & Happiness” when you SUBSCRIBE to my email newsletter “Grounded Inspiration”. 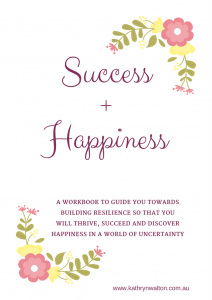 This mini-workbook will guide you through a simple step-by-step process to create YOUR OWN unique customised recipe that will enhance your RESILIENCE during times of uncertainty and move you towards SUCCESS and HAPPINESS. By choosing and committing to the actions and habits that work FOR you instead of AGAINST you, you will find yourself THRIVING, not just surviving. So what are you waiting for? Follow this link to SUBSCRIBE and your FREE mini-workbook will be ready for you to download within seconds! Posted on January 12, 2018 Author kwwpadminCategories Active Lifestyle, Life, PrintablesTags action, actions, activity, adventure, alone, body, calm, challenge, challenges, change, chaos, control, discouraged, downloadable, empower, empowerment, environment, exercise, food, foundation, free, free printable, fun, grounded inspiration, habit, habits, happiness, health, hopeless, hydrate, hydration, ingredients, instability, intensity, laugh, laughter, learning, lifelong, meditation, mental health, mind, mindful, mindfulness, mini-workbook, nutrition, offer, order, physical health, power, powerful, printable, quality, recipe, resilience, resilient, rut, self-care, share, sign-on, sign-up, skills, sleep, social, socialise, spirit, stillness, strategies, strength, stuck, subscribe, success, survive, surviving, thrive, thriving, uncertain, uncertainty, unpredictable, unstable, vulnerable, water, wellness, women empowered, workbookLeave a comment on Recipe for Success and Happiness: getting the mix right!